Statdash gives you lots of flexibility when adding administrators to your account. You can choose what functions they can perform and what dashboards they can access. 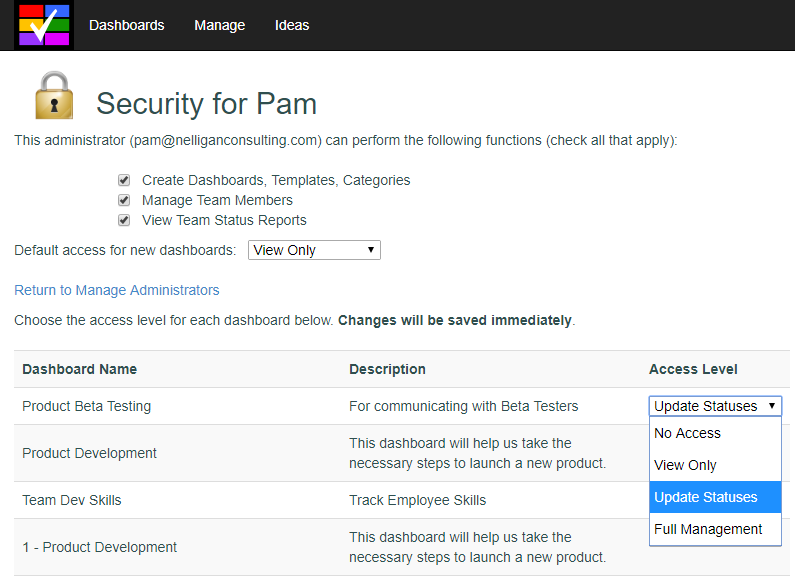 Administrative users can have view-only, update-only or full access to dashboards. This allows you to keep confidential dashboards private and share dashboards only with those who need them.